Looking for accommodation in Valencia? Looking for accommodation in Valencia? Try this place. Valencia’s old town is small. All the main sights are packed close so it is a pleasure to stroll slowly on the streets getting from one place to the next. So as usual I looked for a place near the old town so I can reach it fast and even get back to the hotel easily during the day, if I wanted, or at night after a long day of walking. 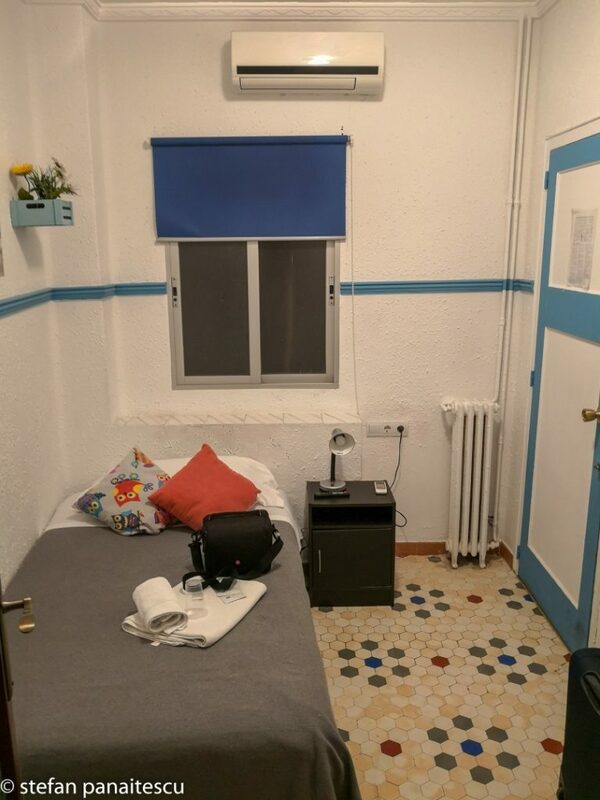 I searched for a room with a private bathroom because I wasn’t too keen on repeating my Morocco experience where I had a shared bathroom. So all searches led me to this place, Pension Alicante. Having a great price for the time I wanted and with a great mark on Booking.com it seemed like an obvious choice. As far as location goes it is great. Easily accessible from the airport, you just have to take the 3 or 5 metro straight to Xativa metro station and walk for about 150 meters from the station and boom. You’re there. What’s great about it is the fact that is 50 meters away from Plaza del Ayuntamiento so you can start your exploring as soon as you dropped your bag at the hotel. You can even reach the City of Science by foot from the hotel, like I did, but in this case. You’ ll have to walk for 2.5 kilometers. I did it but you can catch a bus and give your legs a well deserved break. All other sights I mentioned during my first Valencia trip article are easily accessible by foot with the exception of the beach. But trust me on this. It is not worth giving up such a good area just to be near the beach. I have only great words for the staff. Really made my stay pleasant, always smiling, extremely polite and helpful, I was really happy with the way my accommodation was handled. Being a pension you will be asked your time of arrival because when you get there you will see that there is no 24 hour reception. Instead you will be given keys(building, pension, room) so you can come and go as you please. When walking from the metro towards the accommodation keep your head up because the pension is inside a building that has many other firms, offices, etc. My room was small and so was the bed. However the bed wasn’t as little as the one I had in Sevilla or Malaga. Here I fitted in nicely so that’s a plus. The room was clean and the bed is made each day. I did not used the TV or the WiFi(had many GB of roaming included in my monthly subscription) so I can’t talk about the quality of signal. 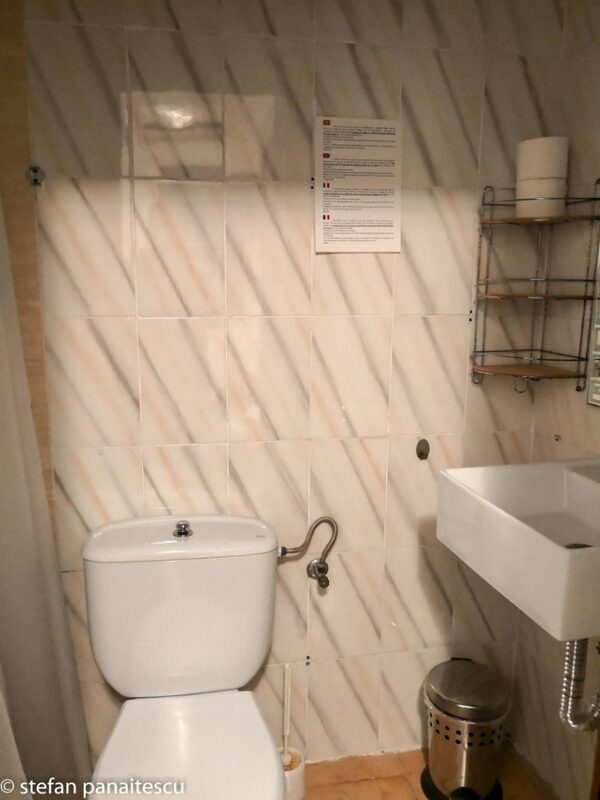 I have one small complaint about the size of the bathroom which is really small, however it was bigger than the shower cabin I had in Bari or in Athens so I managed to shower without too many problems. All in all i think this place is great for exploring the city. If you are not looking for something fancy and can handle a small room for 1-2 days or even 3 days like I did then you will be happy with this choice. Since I went solo I had no reason to splurge and spend money on big, fancy rooms. This is a great place to stay if you don’t crave for 24 hours reception or a fancy wardrobe or a lavish bathroom. If you just want to visit the city then Pension Alicante is a great starting point for your trips!